The Chinese stock market reopens on Monday, after a week-long closure due to celebrations for the arrival of the Year of the Monkey. Investors are getting nervous, as the other Asian stock markets closed on Friday with big losses. Domain investing in China has been the subject of much discussion lately; while Guta.com founder, George Hong, remains optimistic about the market’s growth in 2016, veteran domain investor, Sahar Sarid, foresees that a hefty correction is due. Chinese domain sales are rebounding in terms of volume, and we might see a jump in prices short term. One thing is certain: the buyers aren’t interested in silly, long combinations of 6N, 7N, or even 8N and 9N anymore; the focus is 3 to 4 digits, along with LL and LLL .com domains. We keep track of transaction among Chinese domain investors and share the results. Some data is extracted via BenMi.com, the Chinese domain sales tracker that beats ChaoMi.cc and is in English. 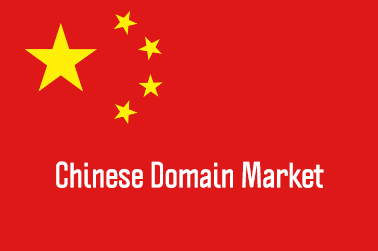 Chinese domain market report : Is China going back to Bitcoin?